Sometimes the words headhunter and recruiter are used interchangeably, but they are actually two very different jobs that can yield dramatically different results for Wisconsin businesses. Depending on your needs, you might be able to fill open positions with a recruiter, but in other situations, you’ll want the assistance of a Milwaukee headhunter. Both headhunters and recruiters work with companies to fill open positions. Both source, identify, and screen candidates. They may conduct some or all of the interviews required by your process. They likely check references and may even do background checks on the candidates presented to you. Despite the similarities, there are quite a few differences between recruiters and headhunters. Here are some of the aspects that differentiate a headhunter from a recruiter, and vice versa. A recruiter works for a company, either internally or externally, to fill open positions. They may work directly for the company as an employee or they may be a third-party recruiter working for several different companies on contract or commission. They might work on their own or for a larger placement firm or staffing agency. Recruiters are very involved at every step of the recruitment process. They advertise for candidates, pre-screen applicants, and may even manage the internal interview process. They might serve as the sole point of contact for the candidate throughout the process. Recruiters sometimes seek out candidates proactively, but more often than not they let applicants come to them though job boards, ads, or the company’s applicant tracking system. It’s not unusual for a recruiter, especially an internal recruiter, to be filling other roles in the Human Resources Department in addition to recruiting. A Milwaukee headhunter, on the other hand, is a person who has been hired by a company to source candidates with certain skills or experiences. These qualities are often more difficult to find in candidates or are limited to a certain industry or field. Headhunters often work with more than one company at a time and they may or may not specialize in certain industries such as sales, IT, executive searches, or industrial fields, to give a few examples. Headhunters are used primarily for locating suitable candidates. 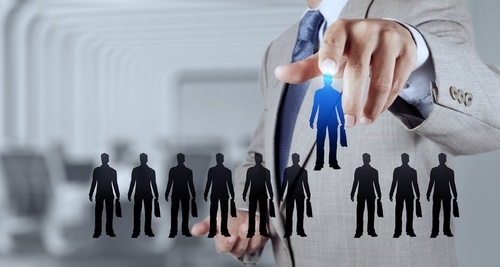 Rather than search solely through a pool of resumes, headhunters use a proactive approach. They go so far as to reach out to candidates who may not be currently looking for a new job. Headhunters have vast networks of industry contacts and often reach out to employed individuals just because they know them, or have heard about their work through this network of contacts. Most headhunting firms and recruiters are employed to do the hiring for companies. Very few work directly for candidates. That doesn’t mean job seekers can’t reach out to them. Job seekers can reach out to headhunters directly and ask to be added to their pool of candidates, even if they aren’t currently looking for a new position. Most Milwaukee headhunters are happy to meet new candidates and are willing to add contact information to their databases. Reaching out to recruiters is acceptable, but you should understand what type of recruiter you are contacting, internal or external. In-house recruiters prefer to be contacted specifically for a certain job and expect to receive a resume along with the contact. They are not always open to making general connections such as through LinkedIn or other social networks. External recruiters on the other hand, are more open to these direct connections. Like Milwaukee headhunters, external recruiters get paid when they place a candidate so they benefit from having a large pool of candidates to pull from. They will be much more willing to add you to their database, even if they don’t currently have any open positions that match your qualifications. Working with Milwaukee headhunters and recruiters is a smart way to let others know about you, your skills, and your career aspirations. Rather than being constantly on the lookout for suitable, open positions, allow your connections in the recruiting industry to do the work for you. You’ll be contacted when a good match comes up and you can decide at that point if you are ready to pursue an interview or not. Contact The Lawler Group at 262-241-1600 to speak to one of our Milwaukee headhunters today. We place presidents, executives, managers, and professionals in many different industries.